OCEAN BEACH, CA. We did a poll recently, asking our readers what should be done about marijuana. 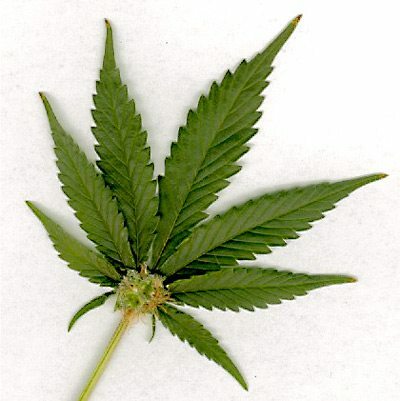 The vast majority – 83% – believe the herb should be legalized in some way or form. Another 6% voted for the status quo – limiting sales to people with prescriptions through licensed dispensaries. Of all respondents, 71% said marijuana should be like alcohol, to be legalized, taxed and regulated. 5% said just “legalize it.” The other 7% agreed that possession should be legalized, but having large quantities ought to be a misdemeanor (it’s a felony now). There were 107 respondents over nearly a 14 day period. Here’s the poll question: Given the confusion about laws that exist and that many keep smoking it regardless of laws, what should be done about marijuana? 1) Legalize it, tax it, regulate its sale just like booze. 2) Limit sales to persons with prescriptions, through licensed dispensaries. 3) Legalize possession only–make it a misdemeanor to sell large quantities. 4) Keep it illegal & build more jails. 5) I’m too stoned to care. Total Votes: 107 . The Poll started: October 27, and ended morning of November 9,2009 ( 1 = Added by guest). They need to treat like it the agricultural herb that it is, like parsley or cilantro… I wanna see it at Henry’s or the farmers market! I thought of an idea. How about we make the Feds pick one war, and if they can win that, move to the next. My question is, which do you think they will choose? Right now the only one they are close to winning is number 4. Might as well legalize it. Dispensaries are like bars now. Not true. We cannot hang out there and use medicine. Soon though. Hopefully very, very soon. Portland, Oregon just opened their first cannabis speakeasy. Middle finger raised to the feds and all! He was gonna report the news but he got high…. Dave- tx for that video. still laffing. I’m sorry I missed out on the poll. I don’t even like the stuff and I voted for 215 and I believe it should be legalized. The War on Drugs is stupid, it only makes vicious killer drug kingpins rich. Hey, “JUST SAY NO”!!!! …. Gotta go, I got the MUNCHIES! Watch Reefer Madness, one toke and it is heroin needle time. Make drugs legal and many very very rich people will not like you anymore. I can’t get the marijuana in the needle. Can someone assist me please? Next poll with a foregone conclusion: who likes orgasms?